Judged by a senior panel of digital marketing experts from brands including Bossini, Chow Sang Sang, Fonterra Brands (Hong Kong), KFC HK, Jardine Restaurant Group, Lane Crawford, PANDORA, Shangri-La International Hotel Management, SMCP Asia and The Bank of East Asia, the eCommAS Awards is a celebration of the very best e-tailers, innovations and campaigns that the e-commerce industry has to offer in Hong Kong and China. 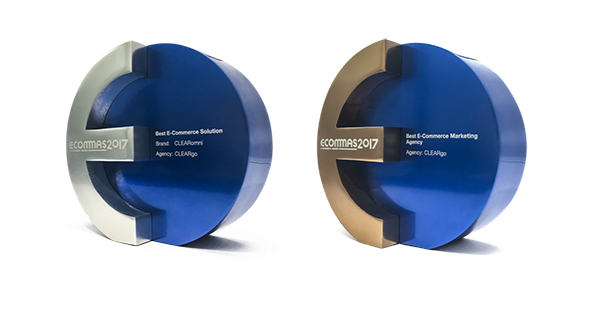 The recognition for Best E-Commerce Marketing Agency and Best E-Commerce Solution reflects CLEARgo’s continual strive to help our clients achieve success as we build our capabilities as an eCommerce consultancy and development agency. 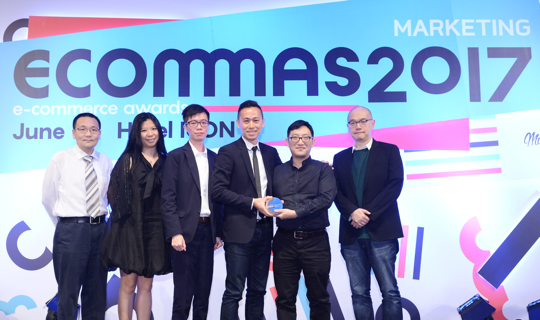 In addition, our new Omni-channel platform, CLEARomni took home the Best E-Commerce solution for our Click and Reserve campaign for AIGLE Hong Kong. View all theeCommAS 2017 winners here. Find out more about CLEARomni here.